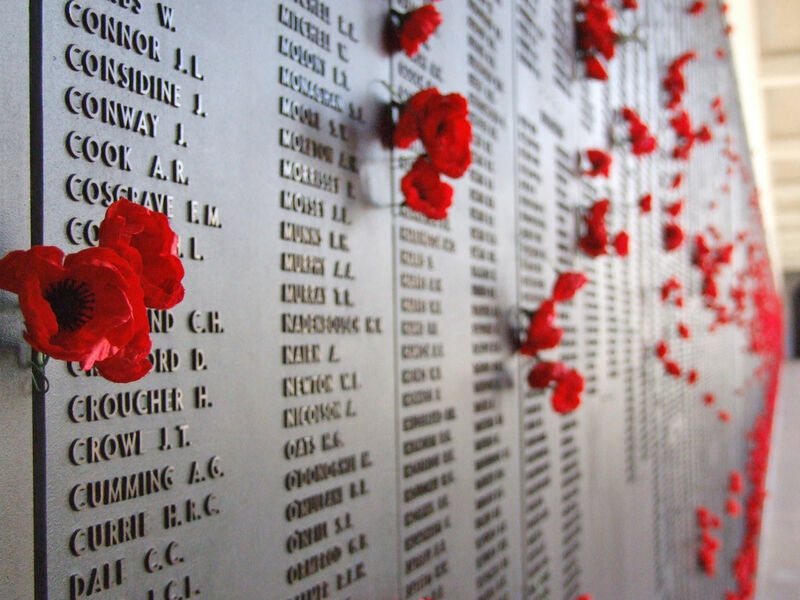 I've just returned from my first ANZAC day dawn ceremony at Wellington's cenotaph. What struck me most was the number and range of ages. The sheer numbers who'd turned out. They like me were not there as cynical pacifists, as I once was about this event. No. We were there not to honour but to thank and acknowledge all the service people who'd worked on on behalf to somehow try to make the worl...d safer and more tolerable. As wars continue. Conflicts continue to erupt. As disgruntled and passionate people choose violence to get their message accross, I wonder why they havn't come to something like this. Perhaps they might put aside their weapons and think about other ways to resolve their issues. After all wars, violence, conflict of any kind is started by people who are impatient to get their way, in spite of understanding the other side's view. 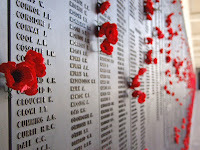 What I noticed most about today's ANZAC commemoration was the silent plea of every attendee for peace and resolution. So thank you all soldiers, peace keepers and warriors. As I was reminded in the speeches, you were just ordinary people, like myself. And if you were brave enough to go so far, sacrifice your very lives to bring resolution to conflicts the least I can do is show a little tolerance. Never forget. Learn from history. And speaking of history, I urge you to read it. A good example, and fitting today is Jane Tolerton's book "An Awesully Big Adventure" Click here to read the Groove Book Report. Groove is not currently broadcasting on 107.7FM and may not re-commence broadcast. You may have noticed that recently our FM signal has not been as strong as in the past. Since the property managers at our transmission site changed, we have not been allowed up to the site to perform maintenance on the transmitter until a new agreement was signed. Unfortunately it has taken 8 months for the agreement to come through and with it increased costs and other conditions that we can no longer justify. We are still streaming online on this website and via the free Tunein and NZ Radio apps for mobile devices and listenership via the Internet in various ways is growing. Please continue to listen via these channels (we recommend downloading one of the free apps if you haven't already). We will continue to stream live as long as we can find some sponsorship. Of course you can help by donating or subscribing on the right. If you would like to sponsor the station in general, or the stream in particular, please contact us (details below right). Check back here for more info over the next days and weeks but in the meantime I'd like to take this opportunity to thank all of our fantastic listeners, advertisers, and the Groove team for all the support over the 12 years we've been on air and 1.5 Million songs we've played (1 504 947 tonight by my calculation). People assume that radio stations get money automatically from somewhere (actually it's generally overseas parent companies) but although we were just about the last real local Wellington station left, we didn't get any funding from NZ on-air, the council, the government or any other magical source. There hasn't really been enough to go around in this landscape of changing media and challenging business. Ironic, or fitting perhaps, that it is a week after the demise of what some would see as the sister media entity, in print; the fantastic Capital Times. Both treasured, just not enough businesses around with spare treasure to support them. Thanks again and stay Grooving. 2013 Wellington Jazz Festival on Cuba (6-8 June) is not too far away so it’s time we started taking a closer look at the programme. Hailed as “the dean of Latin jazz” and “one of the world’s great virtuosic pianists” by The New York Times, multi-Grammy Award winner Chucho Valdés has recorded over 80 CDs during his illustrious career, performed in such prestigious venues as Carnegie Hall, the Kennedy Centre and the Hollywood Bowl, and joined countless jazz masters on stage - including Herbie Hancock, Dizzy Gillespie, Wynton Marsalis and Chick Corea. Born in 1941 in Havana, Cuba, Valdés began his musical life at home under the direction of his parents. His mother Pilar Rodríguez was a singer and piano teacher and his father, the great Bebo Valdés. At three years old, Valdés could already play the melodies he heard on the radio by ear using both hands in any key. Find out more about Chucho Valdés on his website. 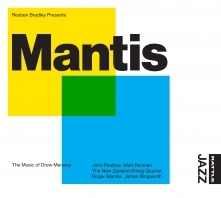 The WJF performance of MANTIS: The Music of Drew Menzies is not just an album launch – it’s the culmination of years of hard work and collaboration in celebration of one of New Zealand's best jazz and classical double bassists: Drew Menzies (1976-2007). Jazz Notes caught up with MANTIS drummer and arranger Reuben Bradley recently to get a low-down on the project. Drew stood out for other reasons too. His ability to perform both jazz and classical double bass to a very high level and his flair for composition drew enormous respect, not least from John Psathas who worked on the string arrangements for the album and introduced the New Zealand String Quartet to the mix. The project took life after Reuben was handed a mountain of manuscripts bought back from Drew’s home in the US by his parents. “I kept saying to myself: someone's got to do something for Drew’s music,” says Reuben. “Gradually it dawned on me that that someone was me.” Picking through the many pages of Drew's music, Reuben began to collate a list of pieces that he felt truly summed up Drew’s sound, finally settling on the nine pieces you can hear in the MANTIS album. Although some of Drew’s compositions were recorded, unfortunately those tracks were lost post-production. The MANTIS album is the only known recording of these manuscripts and the concert is the first time the music will be played live in its entirety. Also a maestrom and melengerie of music and news - all from 8.00PM tonite see you there!